I’m done with this most recent clump of deadlines! I don’t think I’ve worked at quite a pace like this for a long while – it’s been three to four weeks of fourteen hour days. I am very, very thankful for my audiobooks – I think they kept me sane in the midst of all those deadlines. I was lucky enough to come down with a head cold for Christmas and Boxing Day, so I had a grand time those two days: I got to loll around while everyone took care of me, and to top it off, on Christmas Day, I discovered a virtual audiobook treasure chest! I spent most of Christmas Day and Boxing Day lying on the couch, listening to some great audiobooks and snacking on the most delicious foods. If you live in Ontario, you might be able to take advantage of this audiobook treasure chest yourself. The Ontario Library Service Download Centre is available to all library patrons of participating Ontario libraries, and it is just wonderful. There are loads of audiobooks available for download, much like you would for Audible. The files are deleted at the end of your checkout period, but you can checkout each audiobook for one or two weeks, which is nice. So far, in the past two weeks, I’ve listened to Bill Bryson’s The Lost Continent, Ellen Degeneres’ The Funny Thing Is, The Green Witch and The Grey King from Susan Cooper’s The Dark is Rising series, and The Bunnicula Collection by James and Deborah Howe. Over the past three weeks, I also enjoyed the audio versions of Reginald Hill’s The Price of Butcher’s Meat (I listened to the British version, which is called A Cure for All Diseases) and Exit Lines. I’d already read A Cure for All Diseases earlier last year and loved it (my review is here) – it translated superbly into audio. I also played several Agatha Christie audios while I was working – I find I can do “rereads” in audio, as well as memoirs and nonfiction, while I’m working; I somehow have the ability to follow along while getting my work done at the same time. Audiobooks don’t work well for work if they’re audios of books I haven’t read yet, though. The Mysterious Affair at Styles, Murder on the Links, Poirot Investigates and The Big Four helped me get through a lot of otherwise tedious work, so I’m very thankful for them! And finally, I listened to Rex Stout’s Curtains for Three, a trilogy of three Nero Wolfe novellas. I must admit, the first few times I listened to audiobook renditions of Nero Wolfe novels, I had a hard time getting used to the narrator, Michael Pritchard, because he didn’t sound quite like I always imagined Archie Goodwin would sound. But Pritchard’s voice has grown on me, and now my idea of Archie Goodwin sounds exactly like him! I like the way that worked out. 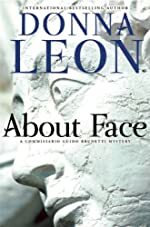 About Face, by Donna Leon. I’ve been wanting to read a Commissario Guido Brunetti book for a while, and since this one was available for checkout, I decided to give it a try. I only just started listening to it last night, and it promises to be a good story. 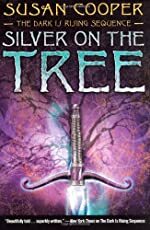 Silver on the Tree, by Susan Cooper. This is the final book in The Dark is Rising series. The version I have is narrated by Alex Jennings, and I started listening to a bit of it yesterday as well. I’m looking forward to finishing my reread of the series in audio. So Long as You Both Shall Live, by Ed McBain. This is my first 87th Precinct mystery; it’s a little bit challenging keeping track of all the names in audio, and the story line behind this one isn’t quite to my taste, but I will definitely be looking into reading more of the 87th Precinct series. 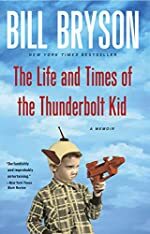 The Life and Times of the Thunderbolt Kid, by Bill Bryson. I’ve had Bryson’s memoir on my shelf for ages; when I saw it was available at the OLS Download Centre, I decided to check it out, as I really enjoy listening to memoirs in audio. 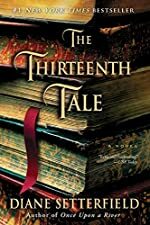 The Thirteenth Tale, by Diane Setterfield. The audio version of The Thirteenth Tale came highly recommended – I seem to recall lots of people recommending it on Google Wave. So I thought I’d take the plunge and give it a first read in audio instead of in print. 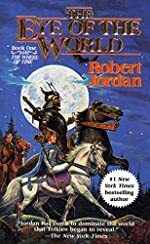 The Eye of the World, by Robert Jordan. This is Book 1 of the Wheel of Time series – I began reading the series ages ago, but stopped at around Book 6 or 7. I recently received a review copy of the final book in the series, The Gathering Storm, which is written by Brandon Sanderson based on Robert Jordan’s extensive notes, so I thought it would be a good thing to reread the series. I’ve had so much luck with rereads in audio, I decided to give the audio version a try. 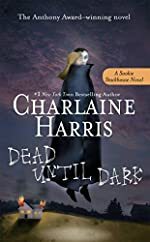 Dead Until Dark, by Charlaine Harris. I have the first seven books in paperback, but haven’t read the Sookie Stackhouse series at all; a while back, I decided to give the first book a try in audio. I haven’t found myself in the mood for it yet, but I know I will soon – from what everyone’s been telling me, I’ll probably be hooked once I give it a try! I also have two Audible credits to spend, and I’m thinking I’ll probably splurge on more Rex Stout and Reginald Hill. Coming up this week: my giveaway winners! No, I haven’t forgotten about my giveaway. The winners post will be coming soon. This entry was posted in Books and Reading and tagged Agatha Christie, audiobooks, Bill Bryson, Brandon Sanderson, Charlaine Harris, children's books, Diane Setterfield, Donna Leon, Ed McBain, Ellen Degeneres, fantasy, memoirs, mysteries, Reginald Hill, Rex Stout, Robert Jordan, Sookie Stackhouse, Susan Cooper, The Dark is Rising series, The Wheel of Time series, urban fantasy on January 11, 2010 by Belle Wong.